San Mateo, CA—PowerEye, PowerVision Technology Group’s professional cinematography drone is now available for preorder. 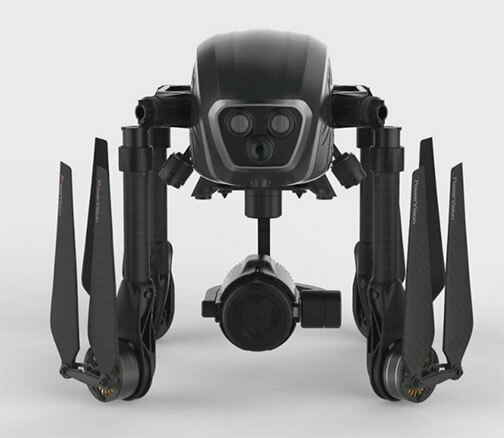 The foldable drone features dual viewing for cinematographic control. In addition, an optional thermal/natural light switchable camera is offered. 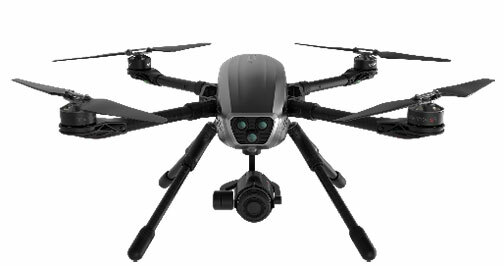 The drone’s dual viewing function gives multiple users the ability to see video simultaneously from a first-person view (FPV) as well as a subject-matter view (SMV). Using this feature, cinematographers have the ability to see what is in front of the PowerEye while in flight through a dedicated FPV camera. The camera is housed in the nose of the aircraft, and a separate gimbal-mounted camera can be simultaneously directed to action on the ground or other areas in the sky. Using the PowerEye app, dual viewing can be managed by a single person using one mobile device in either a split-screen or picture-in-picture mode (user selectable). Two people can also manage the feature using two mobile devices with one managing FPV while the other manages SMV. 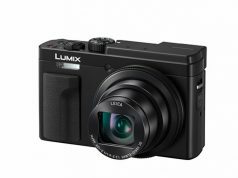 PowerEye is available in two camera models and is compatible with the Micro Four Thirds (MFT) format. The PowerEye Professional is equipped with a 4K UHD camera. 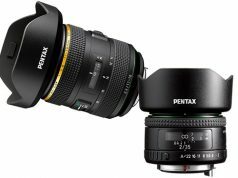 As a result of its MFT compatibility, users are able to connect a variety of interchangeable lenses to the camera. The PowerEye Thermal has a thermal/natural light switchable camera that comes with two integrated light sensors and two lenses. Through the PowerEye app, users can switch between the thermal and the natural light setting with one touch. Using the thermal/natural light switchable camera, cinematographers can capture a spectrum of light not visible to the unaided eye. “PowerEye takes professional focus, special effects and control to the next level. It exceeds passed only what the eye sees and can capture something magical,” said Wally Zheng, CEO of PowerVision Technology Group. 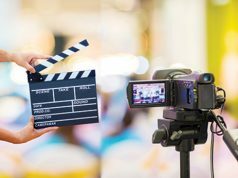 Leveraging PowerVision’s UAV technology portfolio, PowerEye incorporates technologies to benefit the professional video community. These include PowerVision Object Detection technology. This technology uses an array of integrated sensors to detect flight path obstacles and sound an alert within 33 feet. Additionally, the portable 600mm class aircraft integrates collapsible legs and rotors for easy transport. It folds to approximately 13x11x12 inches. Furthermore, its four-point landing/lift-off design is said to eliminate the need for handheld takeoffs and catch-landings common with two-point and/or T-bar designed drones. PowerEye is rated to provide a maximum flight time of 29.5 minutes. Its control range as well as real-time high-definition video stream supports a distance of 3.1 miles. The drone weighs in 8.7 pounds with battery and propellers included. Its maximum payload is 6.6 pounds. PowerVision’s PowerEye Professional has a suggested retail price of $3,988. It kit includes the PowerEye aircraft with a full set of propellers, camera lens (Panasonic Lumix G 14mm f/2.5 Asph), a rolling carrying case, one remote control, one extra pair of propellers, a base station, battery, and battery charger. It is schedule to ship in December 2016. Users who preorder also will receive an additional remote control with 100% advance payment ($199 retail value). Additionally, customers interested in pricing for the PowerEye Thermal 2-in-1 thermal light/natural light integrated camera option can inquire by e-mailing sales.us@powervision.me.